The town of Boquete nestled in the highlands of Chiriquí province in western Panama is a retirement haven for expats looking for a simpler lifestyle. 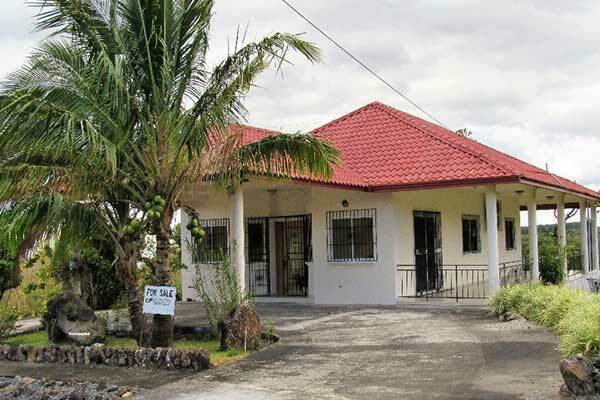 The real estate market in Boquete is now a buyers’ market meaning you can get some sweet deals. The last census sets the population of the Boquete area at around 25,000, with over 5000 of those being expats. The influx of North Americans into Boquete has influenced the look of home construction, so there are many custom designed North American style homes in the area. Many of these custom homes are on large lots with excellent views of the surrounding hillsides and valley. Unlike traditional Panamanian home construction, custom homes are larger in size and often contain imported materials such as Italian tile, and hardwoods imported from Europe. They also have imported hardware such as sinks, faucets, garbage disposals, and windows. The craftsmanship of these homes is outstanding and most of them are being sold furnished with imported furniture, lighting, and appliances. These homes now make up a sizable part of the real estate market in Boquete, and are available for $350,000, but have been on the market longer than expected. As it’s a buyers’ market putting in bid several thousand dollars below asking price on these houses might just land you a deal. As always, most owners prefer a cash sale. However, sellers who have had their homes on the market for a while may offer owner financing with usually a fair amount down and a nominal interest rate. You can get a mortgage in Panama, but the paperwork can take up to four or five months depending on the bank. Owner financing or cash is the best way to buy in Panama. 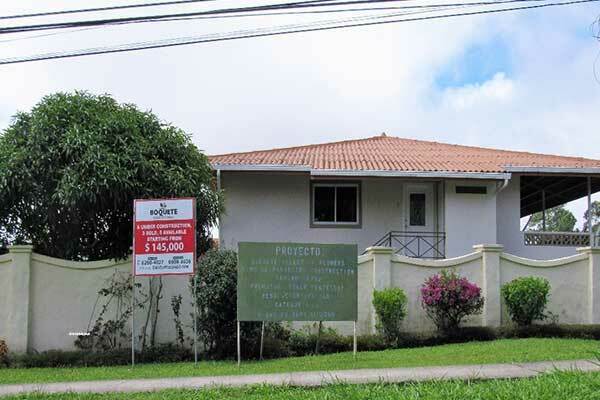 It is typical in Panama for real estate companies not to post for sale signs on more expensive homes, so for a potential buyer it means that you won’t know what is available unless you contact the local real estate companies. While upscale homes are plentiful in Boquete you can still find moderately priced homes and condos for just over $100,000 and up depending on location. Although the construction of new homes in the downtown area of Boquete has subsided due to lack of space, on the outskirts of the town and a few miles away toward David new construction is underway. The largest housing development in Boquete is called Mystic Gardens. Situated just outside of Boquete in a secluded area. These three-bedroom, two-bathroom homes are built with 1,280-square-feet of living space. Resale on these homes has been between $109,000 and $135,000 depending on what extras owners have added to the homes. 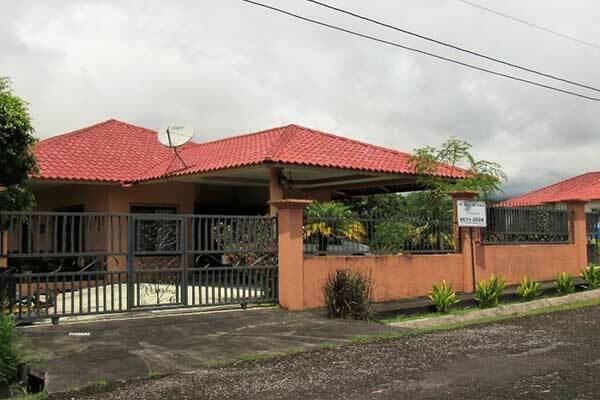 The development is now home to a mix of expats and Panamanians. A new phase of development is underway in an existing expat condo development just outside of downtown Boquete. These two-bathroom, two-bedroom condos are selling for $145,000. The condos at Boquete Valley of Flowers are spacious, with balconies and covered parking within a gated community. This is a quiet area of the valley with great views. Currently, a home in the Brisas Boqueteñas neighborhood is for sale that has been on the market for a while. The asking price is $230,000. It has wonderful views of Volcan Baru and backs on to the canyon with a river below. The 2,300-square-foot home has custom built cabinets, wraparound terrace, two bedrooms, two-bathrooms, and a studio. Not far away is another home on the canyon with a large covered terrace in the back with uninhibited views of the surrounding countryside. Located on a beautiful landscaped lot this 1,500-square-foot home has security, a formal dining room, large kitchen, two bedrooms, and two bathrooms. The asking price is $249,000. Since Boquete itself lies in a very small valley, most of the downtown area is commercial with homes built up the surrounding hillsides. Since available land is limited for planned neighborhoods and developments in Boquete itself, many new developments in recent years have been built just outside of town. These communities are continuing to grow as people are coming from around the world to live in this picturesque place. A few miles from Boquete driving towards David you will find another sizeable gated community, Hacienda Los Molinos with 198 acres. 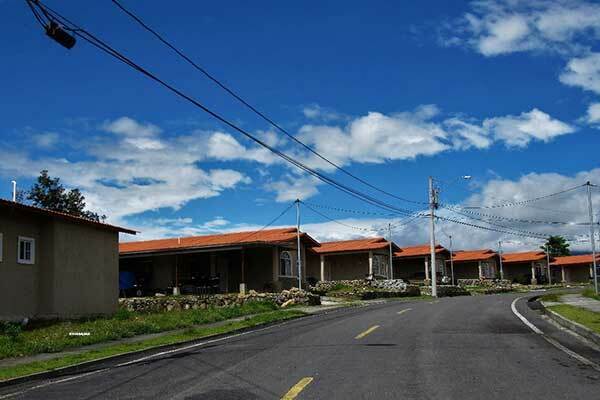 This gated community has been around for several years and is home to an upscale resort, restaurant, and numerous homes with stunning views of Volcán Baru. The grounds of the original section include walking trails, lakes, and beautifully landscaped areas surrounding the homes. Originally this development only had custom homes but recently the extended property in the project is developing new areas with smaller more affordable duplexes, single-family homes, and condos. Rentals are easy to find in the Boquete area since many people have been coming to Boquete as snow birders for years. Accustomed to having expats as tenants, most rentals will have North American furnishings and features. As can be expected, the more upscale the property the higher the rental price. Rent on a two-or-three-bedroom home with two bathrooms start at $1,000. Condos rent for around $1,200. Homes in gated communities and expat areas will be more. Rent on a small one-bedroom, one-bathroom apartment is $500 and up. Prices are affected by location, and whether it is a gated community or considered an expat rental. Lower cost rentals are harder to find and will be more Panamanian in style. Keep in mind during high season, November through April, in Boquete, prices for rentals will be more due to demand.